DATABASES: For current or very specific information on a topic. Once in these databases, start with a simple search (one or two keywords) and then narrow your results using the column on the left. Includes Mix, Pro Sound Europe, & Electronic Musician. Includes Computer Music Journal and Leonardo Music Journal. Have you found websites with great, credible information for this course? If so, please email the URL to Suzanne, who will include it here. THANKS! Latest recording and sound information plus top industry news. Music production, pro audio, and engineering tips. A biologist from Arizona State University explains. Information from the Dept. of Labor's Occupational Outlook Handbook. 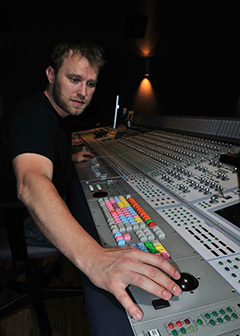 Job openings posted on the Audio Engineering Society website.